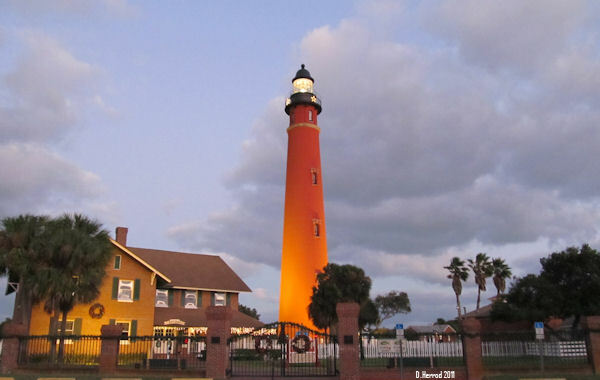 The Ponce de Leon Inlet Lighthouse began as the Mosquito Inlet Lighthouse in 1883. Construction began in 1884 and was completed in 1886. It was first lit in November 1887. In the 1920s the Lighthouse service added indoor plumbing and bathrooms in the keepers’ building. In 1925 electricty arrived at the light. The name was changed to Ponce de Leon Inlet in 1927. When the Lighthouse Service was abolished in 1939 the Lighthouse was transferred to the Coast Guard. During World War II, the keepers quarters were turned into barracks for the Coast Guardsmen who protected the light and stood watch against enemy submarines. In 1953 the lighthouse became automated. The Coast Guard abandoned the Light Station in 1970 when a new light was established at the Coast Guard Station on the south side of the Inlet. Two years later the Ponce de Leon Inlet Lighthouse Preservation Association was founded as a non-profit, organization to restore and operate the property as a museum. In 1972, the Light Station was listed on the National Register of Historic Places as one of only a handful of 19th Century Light Stations to have all its original buildings still intact. What a stunning lighthouse. I don’t get to see these very often. Did get to see one earlier this month. Always a thrill. Great use of a historic site. Boom & Gary of the Vermilon River, Canada. Beautiful shots of the lighthouse. I love the lighting!! And the star in the second shot is just beautiful!! Lovely shots of the lighthouse. I enjoy seeing different lighthouses, this one is really pretty. The night shot look beautiful. Happy skywatching! Beautiful lighthouse and interesting information. This is the one we were thinking of visiting in December when we come. Jennifer, we didn’t go in the lighthouse just visited the grounds. 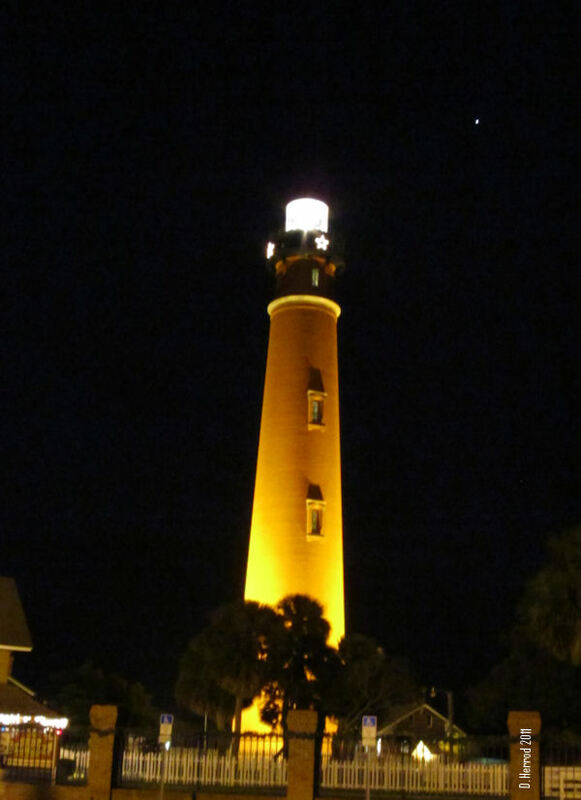 We have been in the St. Augustine https://thedeezone.wordpress.com/2008/05/09/sky-watch-friday-san-augustine-lighthouse/ and Bocca Grande lighthouses. https://thedeezone.wordpress.com/2008/11/28/sky-watch-friday-flags/ . During my tour of duty in the Coast Guard i had the priviledge of working on the Ponce De Leon Light House in addition to many others. It’s good to see the old light house again. Thanks for sharing and great photography.